It was the pros who first asked for a Gabba that’s not as hot as the Gabba but warmer than the Fawesome Vest. So we started from the Gabba and made the back in Nano Light fabric -- the same fabric as our Nano Flex tights but without the brushed fleece inside. This gives the piece a lot of breathability and keeps you from overheating inside. We further lightened it up by using a lighter weight of Windstopper® (a full 25% lighter than the one used on the Gabba) on the front. You may think that this is filling a very small niche. But just try it. It can cover most of the conditions of the Gabba (except wet racing and very cold), yet it handles warmer temperatures better. And the fit is exceptional, which is one more reason you’ll keep reaching for it. 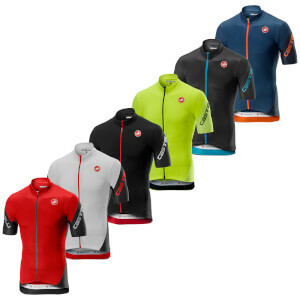 The consensus of our Castelli test crew is that this piece doesn’t fully replace the Gabba or Fawesome, but it’s another arrow in your quiver that is ideally suited to cool temperatures, especially when it’s dry or there’s a risk of light rain. A perfect Jersey for cold weather. It will keep you Warm and dry. Wore this for a potential changeable door in the moors. Brilliant in the showers and was surprisingly good keeping warm in the wind and cool up to 15-16 degrees. Very pleased with it. I got the Gabba 3 in early spring for those cooler and showery days - and for those days its fantastic. But the Gabba is just too hot for those warmer summer conditions. 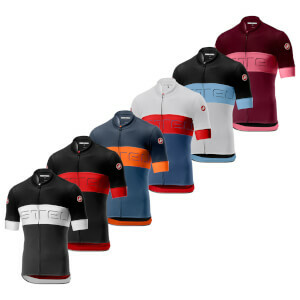 I had my Probikekit e-mail offer on an extra 10% off an already reduced only black Perfetto, - fine by me as I think that’s the best colour and Castelli aswell - the dedicated cycling brand along with Assos that are in that different league to the others. The Perfetto’s fit is similar if not the same as the Gabba and continues its big brothers excellent breathable/windstopper, shower proof (confidence giving seeing those rain bead run off the material for the first time) and aero performance qualities without you overheating on the hills as the full length zipper allows you ventilation and wind chill protection. 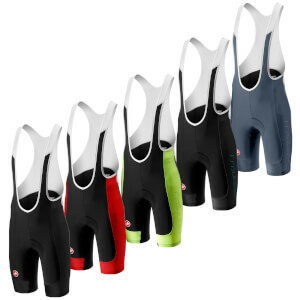 I’m so chuffed with it the only caution if you have never invested in a Castelli performance garment before is too go at least one size up from your normal size as they tend to be on the small side. Even then the fit may feel strange whilst just standing but it’s when you crouched low on your rig gripping the down bars that they come into their own.